In an almost perfect technical fashion, the GBP bears managed to jump back in the overall downward trend once price retested the broken trend line support. It would have been a high probability trade, if you were watching the pair during the bounced. For one, the broken trend line support lines up with the week open price around 1.6247. Secondly, stochastics was showing that the pair could be overbought. Lastly and more importantly, the price where the pair bounced coincides nicely with the 50% Fibonacci retracement level. For now, look for a candle close below support at 1.6070, as this could indicate a move towards 1.6000, a psychologically significant price level. On the other hand, if support holds, price could head upwards and retest of the broken support-turned-resistance at 1.6245. So what do we have here?! Ahh… A steady looking ‘box’ in the NZDUSD’s 4-hour time frame. Well, the pair has been trading between 0.7300 and 0.7050 since the last week of November. With trading volume expected to dwindle ahead of Christmas and New Year, the pair is more likely to stay range-bound until volatility starts to pick up during the start of 2010. If it breaks down, its downside target (computed by projecting the height of the pattern from the point of breakout) would be 0.6800. 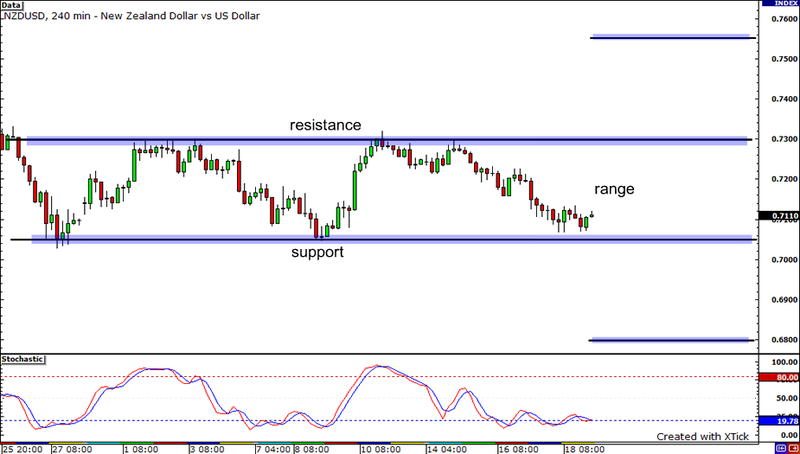 On the flip side, its minimum upside target would be 0.7550 if it breaches the range’s resistance. 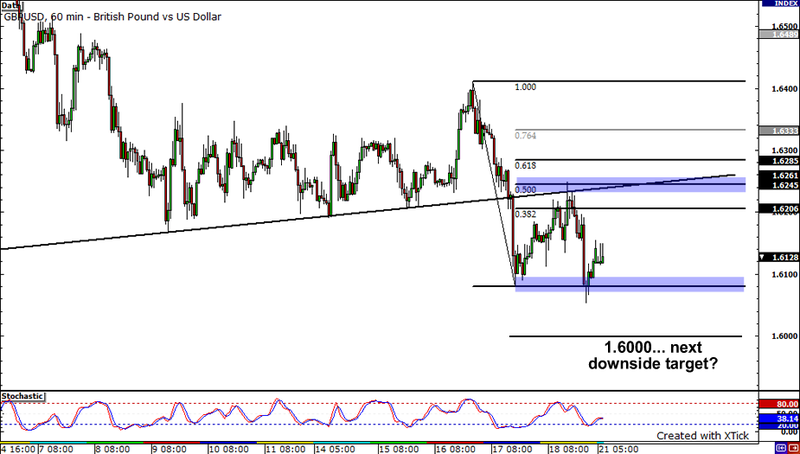 Next is the USDCHF on its 4-hour chart. Notice that the pair soared by more than 200 pips on December 4. Its luck has turned well since then. Currently, the pair is riding on a rising channel. It could easily reach and surpass its monthly high if the support holds. Though, it may hit some significant resistance at 1.0600 since this mark used to be major support in the pair’s daily chart. 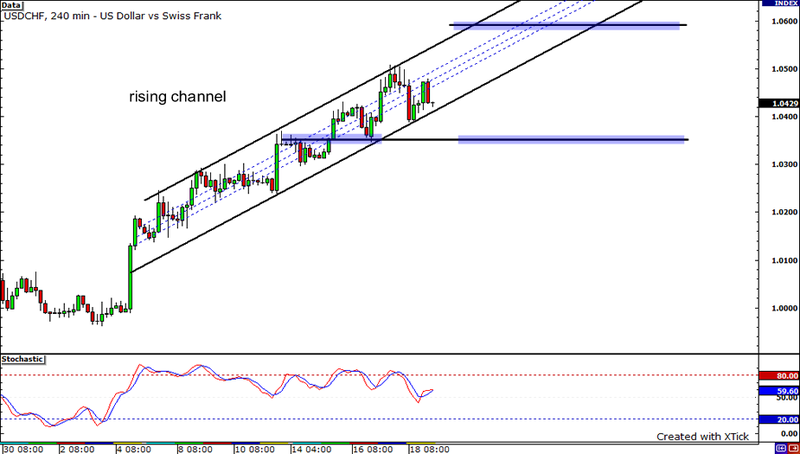 Nonetheless, the pair could continue its move upward as long as the channel’s support remains unbroken. But if it gives way, then the pair can find itself down to 1.0350.